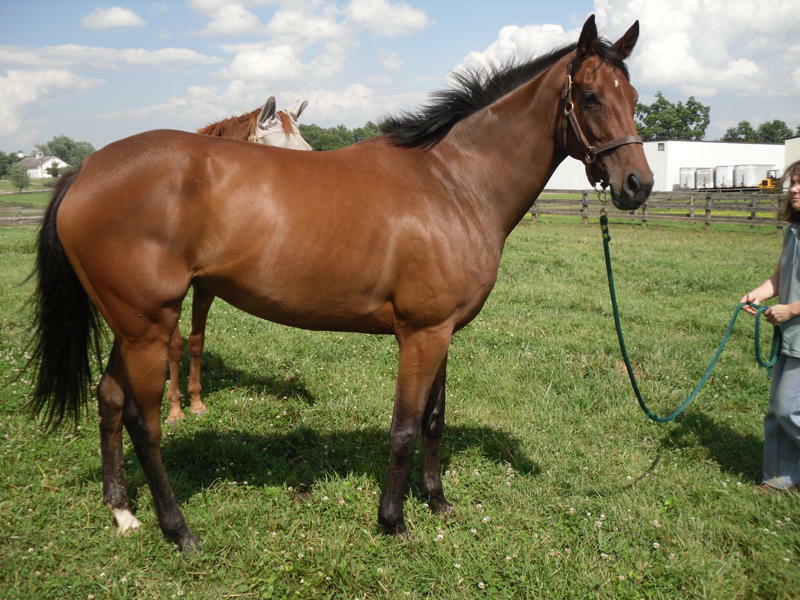 For a new off-the-track Thoroughbred owner there are lots of "Firsts". First Ride, First Show, First Canter or even their First Success Story posted to this site. If you are wondering what it is like to own and ride your own OTTB, read these stories from our buyers about their "Firsts". Refresh this page in your Browser for even more first time stories. Each time you reload or revisit this page, the stories will change. Keep scrolling to see more stories pop up. Finder’s Chance did great in his first show. Intro Tests A and B. I think he got 69% in Test A and 68% in Test B (even with an error). Except for the entrance and exit, he got all 7s and 8s. He really doesn’t yet have the concept of halting at attention. My wife has a degenerative brain disease that is ultimately terminal, and my son is home schooled and takes on tons of responsibility–way beyond his 13 years. I and my wife both had ridden for the better part of 30 years and had excellent training…but had abandoned our own personal riding when we had a child. After all—finances and time frequently just don’t stretch to cover children and pets like horses. 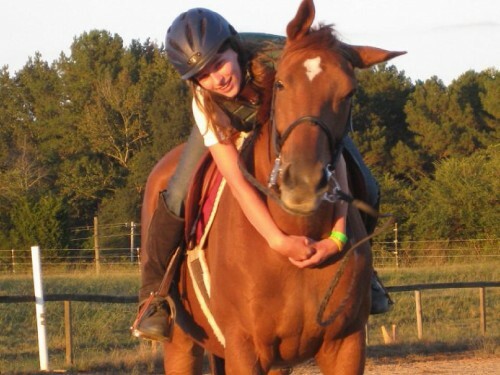 We found ourselves however looking for a way to give my son an outlet away from the house and the pressure of our situation at home he lived, ate, and breathed….so I did what we always used to do—took him to a riding stable and got him lessons. . . Soldier is doing well and has settled in here. He has shoes on and is much happier. His teeth are done and he has been wormed once. He is eating and drinking well and we are giving him a bit more food. Amanda and Allegiant have come a long way in one year. Thank you Amanda for showing us what can be done with a little love and a lot of hard work. We are very proud of this young pair. Read more of Allegiant’s Success Stories. “Banker” (Bank President)is doing very well and seems really happy to be here. He enjoys languishing in his stall then going out and rolling in the dirt. Vilas County Schools His First X-Country Jumps! Vilas County understood directly what the game was about and as more we jumped as more he wanted to do. At the end he was really paying attention to see where the next jump is. I had great control over him and he never wanted to rush before or after the jumps. We jumped most jumps out of trot as this gives him more confidence right now. Water Jumps and Logs – No Problem! Antioch learns to jump cross-country fences. I must admit that I felt like a kid on Christmas morning as I waited for you to pull down the driveway with my new horse, A June Affair. It doesn’t seem to matter what age I get to be because I never loose the joy and love a beautiful horse gives to me. Especially….the Thoroughbred. The incredible, wonderful, big hearted OTTB! OTTB Decorative took a few days to asses his new home and decides everything exactly to his liking. Well, except for a little redecorating in the ring.